Please tell me the time to this yoga i.e. before meal or after meal or can I do it any time ? Please help me. You can perform this Pranayama in morning or evening it’s depends upon you but you have to keep 3 or 4 hours gap before doing any yogic activities(Asanas or pranayama) . There is only one Asana called Vajrasana, which is done after taking meal. @Amu, Happy to see your comment, Its better if you start Anulom Vilom by inhaling through your left nostril and exhale from right nostril. then Inhale with right and exhale with left. it’s one round. Please follow the steps carefully, otherwise its harms you. Just forget what you have done, right or wrong and follow the above-mentioned steps carefully. These steps are based on Patanjali Yoga Sutra. We hope your doubt is clear. If you have any queries you can ask us without any hesitation. Benefits depend on your practice and the correct steps followed by you. What is the right way of breathing while doing Anulom Vilom? Should our stomach expand while breath in and shrink while out, or vice versa? Does the right way of breathing matters? First of all thnx for your valuable commnet @ Kavitha, Anulom vilom is simple breathing process and in this you don’t hold your breath but in Nadi shodhan you have to hold breath, both pranayam is similar but diffference is you have to hold your breath in Nadi shodhana pranayama not in Anulom – vilom both are alternate nostril breathing.We can say that Nadi shodhan pranayama is the next level of Anulom vilom pranayama. If you are a beginner,practice this pranayama for 5 minutes. day by day increase the time. once you are master in it you practice this Pranayama as much as you can. there is no time limit for it. but first start with minimum time. Thnx @ Rajendra Gumaste, If you are beginner, do Anulom vilom 3 to 5 minutes, day by day increase the time. Once you are used to it you can perform this about half an hour. But main thing is that practice. Can i get the achivment of goals In my life and can i achive the hepnotism level by this yoga. @Pushkar achieving goals in your life is all upto your hard work and efforts, but by Yoga you achieve positiveness to your mind, calmness and good health, Positive thinking and good health is vital factor for achieving any goals. Achiving Hepnotism level is very very difficult in now a days. It needs lots hard efforts and practice, and it takes time. Thnx sir @ Dr. N.k, Rojha, yes you can do pranayama while sitting on the chair. Do meditation after Pranayama. @ Ahmad Anulom vilom is right for you alonwith do Bhramari and udgeeth pranayam for depression. Thnx and tk cr. @Ahmad, Yes Anulom vilom is good for you alongwith do pranav and udgeeth also for stress and depression. Can the regular practice of Anulom Vilom prayanama clear any blocked heart arteries.Can it be practiced in a room or open air.Thank You. @Pushkar benefits needs time and practice, do this for 15 minutes as you said that. During anulom – vilom focus on your breath. while you breathe out assume that all your diseases and negative thoughts is going outside and in breathe in think that you are healthy and your mind is calm with positive thoughts. I am having arachnodititis,because of tb in spine due to which I have severe pain radiating from hips to legs and I am doing anulom vilom while lying on bed .can I get cured from this pain by this anulom vilom as I have heard that many people of chronic diseases got benefitted. Hello shipra…. See, your’s is the one of the rare cases and yes whatever u heard is true. many people have got cured from severe problems and no doubt u could b one of them.. But honestly we or myself can’t assure u on this.. Pranayama or yoga is such a miraculous technique that it is difficult to predict whether you will get cured or no.. But that doesn’t mean that you should not keep any hope coz u never know u may also get cured… But it is for sure that at least u r quality of life will go on increasing as the time passes.. K? I wish for u r complete recovery through u r dedicated practice of yoga..feel u r self blessed always.. U r free to ask if u still have any doubt or any question to ask.. I have tried nadi shodhan pranayam , with padmasana and with visham vrutti. I am experiencing headache from morning . Can you help me ? is it ok to continue practice.? Stop adopting kumbhaka while practicing nadi shodhan.. practice it without adopting any kumbhaka.. i.e. called anulom vilom or alternate nostril breathing.. this will reduce your headache.. if u have seviour headache then have some medicines first and stop the practice for 1 or 2 day.. thereafter u can continue the practice..
Can anulom vilom help to strengthen lung and eliminate shortness of breathing if one is having bronchitis? Ro start with should I do 5 minutes once a day or twice a day or more? Please advise. Yes for sure.. it does help. Apart from that practice other pranayamas also. Some backward bending asanas are also useful practice them according to u r physical restraint. Anulom vilom is the only pranayama which u can practice at any time n u can practice for how much time u want to. Sir, I suffer from severe Dry Eyes problem caused by allergies. One of my friend told me to do anulom vilom. Is Anulom Vilom right exercise for the Dry Eye problem. Please suggest. Only pranayama will not be helpful.. as a necessity u will have to practice jal neti and sutra or rubber neti.. u have to practice shatkarma.. or else problem will not b solved… Take shatkarma treatment from some yoga therapy institute… your problem will definitely early get solved.. Hello..I have undergone Pnemothorax 2 years back. can i do anulomvilom pranayam now. if yes for how much time. please answer. Do Pranav pranayam, you can do Anulom vilom but do slowly and don’t inhale or exhale deeply for 5 minutes. If you feel uncomfortable then don’t do this. Hi i am 26 and height 6″2 i weight 74 and i want to increase my weight because at this height i look thin…can kapalbhati and anulom vilom help me gain weight because ive heard tht kapalbhati helps reduce weight . i dont want to lose weight . I also sometimes suffer frm anxieties and depresssion will anulom vilom help ? Plz reply . I am from Dhaka. I am performing anulom vilom prayanam since last four months. I feel happy and no anxiety tension. But I feel weight lose and thin that make me uneasy. I don’t weigh over. 60 kg and age 45y. Please tell me how I can overcome it. @Salahuddin Sheikh, Thnx for sharing your feeling, don’t worry for this, you have doing pranayam from last four months. Automatically you will gain your weight not to worry about this but keep practicing. @ Abhra, thnx for sharing your point, Anulom vilom is good for anxiety and depression for gaining weight do Bhujangasana, vajrasana, sarvangasana,Matsyasana and Pavanamuktasana. If you feel you are loosing weight by kapalbhati then don’t do it. Otherwise kapalbhati is good for our digestive system. @Gagan, Thnx for your comment, for comfortable we don’t use the index and middle finger. If you are comfortable you can do with your index and middle finger. It’s not a big, we have described all the pranayama on our website in a very easy way, but you want extra knowledge regarding Pranayama then read Patanjali Yogsutra, Pranayama Rahasya by Baba Ram Dev Ji. Thnx & Keep visiting our website. I have a problem of mood swings and also I keep on getting negative thoughts.Anulom vilom will be helpful in reducing the same.How much time generally take yoga in recovery these problems? Thnx @ Dayma, Benefits take time and it’s depend on your practice. Increase the time day by day of pranayama, when you are performing anulom – vilom or any Pranayama assume that all your negativity kicked out as you breathe out. During practice blank your mind don’t thing anything else just focus on your practice. Automatically you’ll feel the difference. Thnx for your valuable comment. Keep visiting our site for more updates. We are happy if you want to suggest anything. May god bless you and keep practicing. I m in relationship..since 3 months.. i hav a problem dts my gf likes me bt not txting me fr many days..so i swing to negative nd get drepressed soon..so whether anulom vilom is a soln fr it..is it helpful fr same? @Chethan, If you are in depression then definitely Anlom – Vilom Pranayama will helps you a lot. But One thing It needs more focus and dedications, suppose that you are practicing Pranayama but at the same time you are thinking about your GF then it will not do. During practice blank your mind with all your negative thoughts and only focus on your breathing. It’s a advice that don’t text too many msg to your GF. And one important thing Don’t spoil your time in texting a girl or someone, You are important realize that, you have only one life.Try to become successful try to set your goal and start hard working for achieving your goal. Once your Successful, then you don’t need to text someone, but other people text you and wants to chat with you. And keep regular practice, if you really wants benefits of pranayama coz benefits takes time and practice. Thnx for sharing your point with us. If you have any suggestions or problems then write us. Because you are very precious for thus. Keep smiling and be Positive. @Krishna, Sheetali, sheetkari and chandrabhedi pranayam is best for reducing heat. Avoid kapalbhati for few days. Which one yoga is better for high blood pressure person? I have lot of hair fall and bad skin. I recently gave birth. I have a pitta body and I am regulating my diet accordingly. Can you please specify a particular pranayam or asana to cure this. I am also getting lots of leg pains while breastfeeding. Perform Sirsasana and sarvangasana for hairfall. thank you for your comment. I do 30 round of Anulom Vilom Pranayam. But I altenate my Right & Left hands to close the nostril. Is it OK to use alternate hands say after every 6 rounds. Suppose you are inhaling and shut your nostril by left hand and for exhaling you use your other then this will not do. complete the one cycle by using one hand. 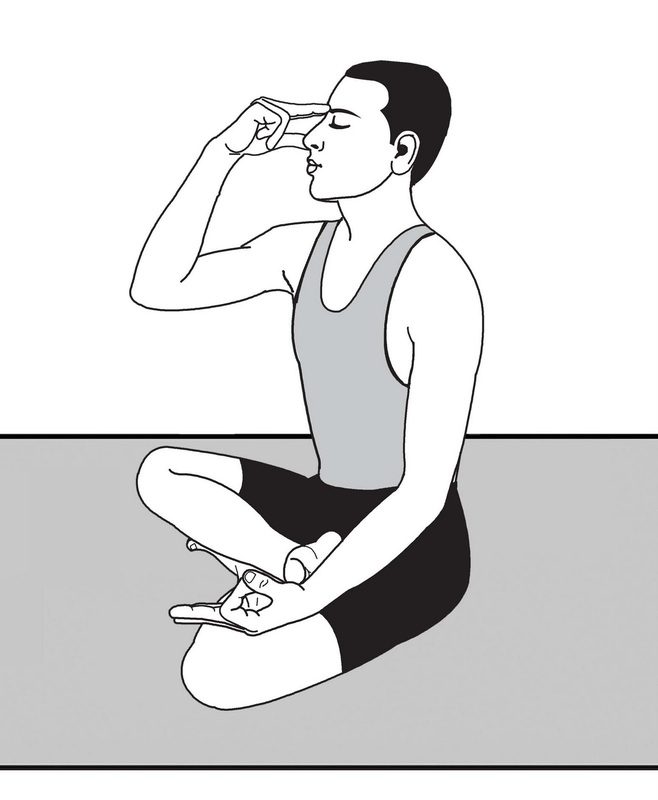 When you are feeling tired or uncomfortable by your right hand to close the nostrils you can use your left hand. Hello sir…i am having severe ocd and depression…will anulom vilom pranayam benefit me? How many minutes i have to do per day and when can i start seeing benefits…kindly reply..
can i sit on office chair and do Anulom Vilom?? yes, You can perform Anulom Vilom while you are sitting on chair. I’m asthma patient..please suggest the best pranayamas to cure asthma…and secondly my body is so heat..how to reduce my body heat?? What is the systematic order of pranayamas to practice one after the other?? @Navya Sri, Thanx for your comment, We describe the systematic order of Pranayama in our Pranayama section, so please go through that section. Thank you. today is almost my 7th day, I started as mentioned above, out of curiosity i tried Nadi shodhana with 1:8:4 for 10 mins (without much struggle) and closed my day with it. 1. is it right to practice Nadi shodhana at 1:8:4. There is a typing error… I am just 28 yrs old, I learnt Pranayama 7yrs back, after 7 Yrs now only 15 days back I started doing Pranayama as mentioned below. 1. Is Pranayama mentioned in our veda. 2. if yes, which veda says that. 3. Is there any specific set of Pranayama prescribed in vedas for curing psoriasis especially. 4. If yes, pls share the cure for psoriasis prescribed in the veda. @ Ashok, Ya it will do, if you practiced Nadi shodhana in ratio of 1:8:4. In Rigveda You can find the information about Yoga and in Holy Geeta the importance of YOG is also mentioned. But you asked Pranyama, for only Pranyama go through the Book Pranayama Rahasya and Patanjali Yogsutra. For your skin Problem (psoriasis) deep breathing exercises is helpful for you and take Amla and Kerala juice along with avoid chemical based cosmetic product. Use Aloe Veera Gel for your skin. Thanks for the feedback Ji. So you mean to say that “nadi Shoshanna @ 1:8:4 is good to practice and it can reduce the effects of psoriasis“. I have come across some diseases are mentioned in our literature along with the healing method. 1.Is psoriasis mentioned in veda and if yes pls share the specific healing methods given in it. Amla juice is fine I can get it. But what is kerala juice, where can I get it. How to avoid the cream given by English medication doctor. Bcos if I don’t apply the cream it becomes like Dandruff in my face (Esp. Near my cheeks, nose) very obviously visible and everyone is asking what is this. Give some suggestions to slow down the growth of this Dandruff kind of thing. Sir, I used to drink 1 to 1.5 liter water every morning to ease my motion, can I start to do pranayama within 5 to 10 mins after drinking 1 to 1.5 liter water. Let me know if I am wrong. If you want to do pranyama within 5 to 10 mins. after drinking water, then do Anulom – Vilom and Nadi shodhana. Hi I am Ashok, pls go thru my above conversations and answer. 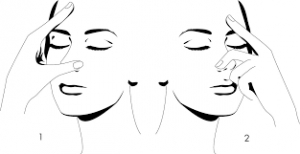 Where to focus during Pranayama, how to breathe during meditation after Pranayama , where to focus during meditation for healing the skin related Ailments, how to focus during meditation for whole body healing or well being. @Ashok, thanks for your valuable comments. As per your query, In Pranayama & Meditation focus on your breath. While your performing meditation you can also focus in between your eyebrows. Also assume that you are feeling relax and calm. It is the simplest way to focus. We hope, this will helps you. You can perform the pranayama while your sitting on chair. Does anulom vilom, kapalbharati can be done just after waking up on empty stomach without going for bowel movement. Is it necessary to go for bowel movement before doing any type of yoga. How much time gap between yoga and eating food. I have hyperthyoid. Which yoga is best for me. Also, can i take my medicine just after doing yoga. Ya, You can continue your medicine with practicing Yoga. Take 3 to 5 hours gap between your practice and meal. It’s good if you practice yogic activities after bowel movement. @Ali,It’s better if you Practice this Pranayama in the Padmasana, If you are in your office then you can also perform this asana while sitting in the chair. Thank you; May God Bless You & Wish you a very happy New year. @Shamalee Damayanthi, sorry for late reply. first of all thanks for sharing your views with us. Pranayama and meditation plays a great role in reducing stress and anxiety and benefits in successful Pregnancy. In this, you didn’t mention your reports so; we suggest you to Visit Patanjali Yogpeeth once. Thanks & May God Bless you. Thank you for explaining the pranayam and its steps so well, and would like to request your advice: I have been detected with angle closure glaucoma. Please suggest an alternative option to surgery. I get pain in my eyes (eye balls) and nerves in the eyes at times. Due to computer related work, my eyes do get dry and strained a lot. My age is 46. I have cervical spondylitis and no other major health issue. Amalki rasayan 100gm+saptamrit lauh 20gm+ mukta sukti 10 gm mix it all and take this half an hour before meal half teaspoon with water or with honey (In the morning and evening). And take also mahatriphla ghrit 1/2 tsp in morning & evening with milk. You can also try the Patanjali Drishti Eye drop, but it’s very strong if you can handle then you may use this. But we strictly advice you, that go to your nearest Patanjali Chikitsalya or you can also trust on Naturopathy treatment. We can’t say that this is the permanent solution but above mentioned mixture helps you lot. Do Anulom Vilom, Nadi shodhan Pranayama.Panchkarma & Shatkarma is beneficial for you. Avoid Kapalbhati but you can perform Bhastrika pranayama only for 2 minutes. Do your proper check up and treatment. Thank you & God bless You. nadi shodan pranayama can be cure erection dysfunction and diabetes disease?. Im 33 years old and suffering from diabetes and ED past year. Can you clarify clearly. Im not believing the modern medicine. Since im trying to solve my health issue with yoga and pranayama. Please help me and suggest me to can be continue the nadi shodan pranayama. Yes, you can continue Nadi Shodhana Pranayama. For erection dysfunction perform Anulom Vilom and Kapalbhati for diabetes. For Erection dysfunction perform Virasana, Chakrasana, Bhujangasana, virabhadrasana and Dhanurasana. For diabetes perform Mandukasana and Kurmasana. Naturopathy, Panchkarma, and Shatkarma are good for you. Please concern an Ayurveda doctor, with Yogic activities proper treatment is important. Thank You & hope you’ll get over from these issues very soon. May God Bless you and Thank you for sharing your views with us. My brother had undergone lungs transplantation (both lungs) an year back. He wants to do Anulom Vilom and kapal bhati for further improvement. Is it advisable for him to do this? It’s really sad, but we strictly advise that consult a doctor before doing Pranayama. You may also visit some well known Yogacharya regarding this. Thanks, May God bless both of you. @Varkey, Your brother can perform Anulom Vilom but slowly and for 3 to 5 minutes. But take doctor’s advice too. Thank You! May God Bless you. To its natural color after doing anulom vilom and kalapbathi ? In many cases, it happens. But for this make pranayama as a part of your life. Pranayama is very powerful if you follow it’s correct steps. Anulom – Vilom & Nadi Shodhana is best for your query. Along with taking Amla juice and use genuine Amla hair oil for premature grey hair. Headstand pose is also beneficial for your problem. But it needs Daily practice for a long time. Add green veggies & salad to your diet along with avoiding chemical based hair product use natural products for your hair and beard also. Nicely explained. keep it up & best of Luck. Thanks! for your appreciation. Keep visiting our website. Hi, I have many lipoma nodes on my arms and abdomen and are there from say 10 or more years. Could you suggest anything that could make these lipomas reduce and disappear. Thanks. Sorry for late reply, as you said that, you’re bearing this issue from 10 years. In generally Lipoma is a skin lump or fat tissues. Surgery is the only option. But there are others natural ways but they’re not 100% correct. We advise you to concern a well-known skin specialist for your problem. Or You can take advice from Naturopathy Experts and also take some help from Ayurvedic Doctor. Lipoma removal is the best way. May God bless you. But you can do all the Pranayama & Asana without any difficulties. Om! good to see your comment. 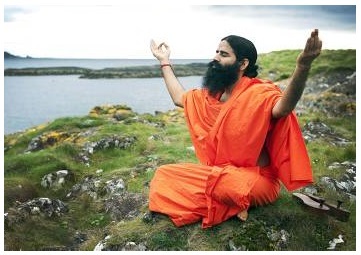 As per your query, it’s not mandate to sit on the Lotus Pose (Padmasana) if you have problem with that. You can choose other comfortable sitting Asana like sukhasana etc. You can also perform Anulom Vilom while you’re sitting on the chair if you facing some problems or having knee injury or pain. Keep away electronic gadgets during practice. Keep focus on your practicing rather than laptop. But try to keep your spine erect if you have issue in back then lean forward but not too much. Hope your doubt is clear. keep connected with us. gas from stomach? should i take medicine beside pranayam? @Baptu, thanks for sharing your views. If your BP is high then avoid Kapalbhati for some days. Carry on with Anulom Vilom. For your gas problem Perform Pawanmuktasana, Vajrasana daily. Try 1 day juice fast its definitely lower down your BP. if you want to take medicine then it’s up to you. Eat easy to digest food and healthy food. Avoid too much spicy and oily food. Can anulom vilom cure high blood pressure. OM! off course Deepak, Anuloma viloma Pranyama beneficial for high blood pressure. But avoid Kapalbhati, Bhastrika in High blood pressure. With Anulom Vilom perform Nadi Shodhana Pranayama. Please explain the meaning of sama vriti. I do anulom vilom but don’t know if it is sama vriti or 1:4:2. Please explain. OM! @Deepali vaish, First of all, thanks for your valuable comment. Sama Vrrti means equal duration in simple word, suppose you perform Nadi Shodhan and you take 2 second time for inhale, and for 2 seconds you hold your breath after that you exhale within 2 seconds (2:2:2). Means in Sama Vritti you have to inhale, retain and exhale in equal time or duration. You can choose your own time according to your comfortability. At the initial stage it’s quite difficult but as you regularly practice it this is easier for you. If you are a beginner then take your own time in inhale, retain, and in exhale. If you perform Pranayama with an uneven ratio or not in the equal time it’s called Visam Vritti. Sama means even or visham means odd in simple words. Hope, we satisfy you by the answer. But still, you have confusion please feel free to contact. Be strong and have a strong belief in Yogic activities, then see the magic. Ya, you can perform Anulom Vilom Pranayama but with this perform also Nadi Shodhana Pranayama. These are best for your problem along with do Bhramari, Pranav and Udgeeth pranayama. May God bless you, hope very soon are get over form your problem. Be strong and live strong. You can go with minor exercise at the initial stage. But Pranayama is beneficial for you. Anulom Vilom Pranayama is best for your problem. Stay fit live healthy & May God bless you.